You can’t beat a lazy sunday. 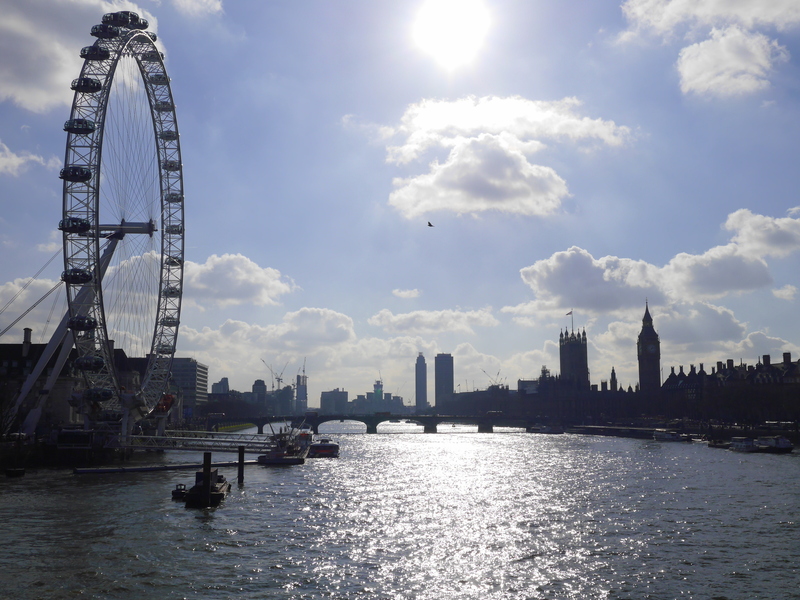 I will never grow tired of exploring London, especially with a new travel partner at my side. Crop Top – Topshop|Shorts – H&M|Boots – New Look (similar)|Bag – Accessorize|Tattoos – Lottie London. 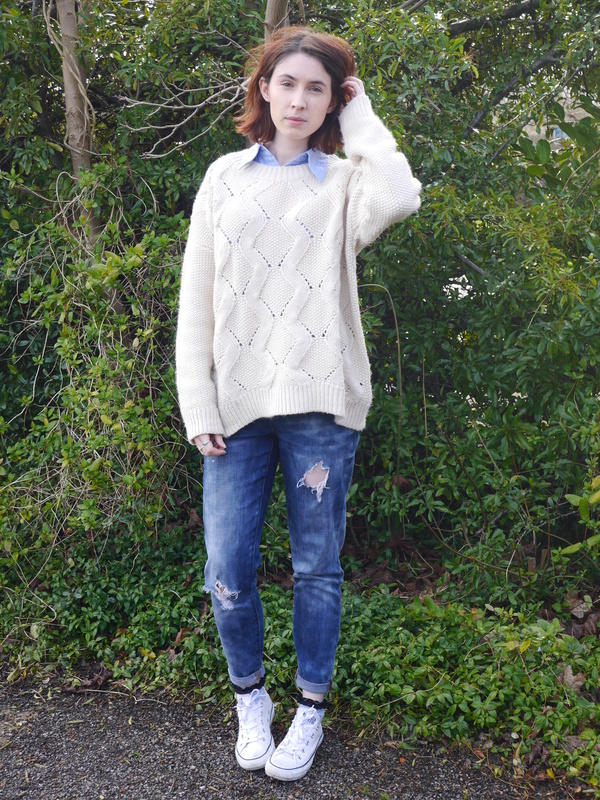 Why do I always look so moody in OOTD posts. I promise i’m a happy person! 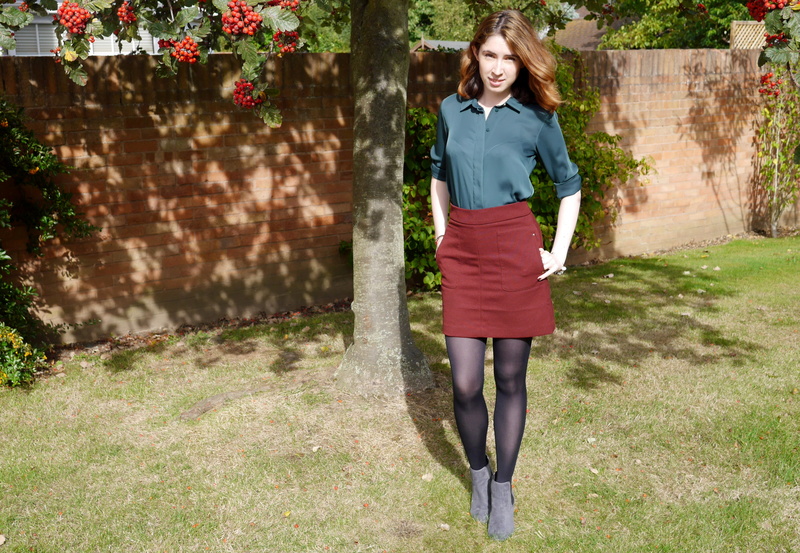 Anyway, I love this outfit; it’s again very simple but it’s the perfect outfit for just about any occasion. I can see myself wearing this for a lunch date, shopping with the girls, a night out at a cocktail bar or just lounging about at home – minus the boots of course. 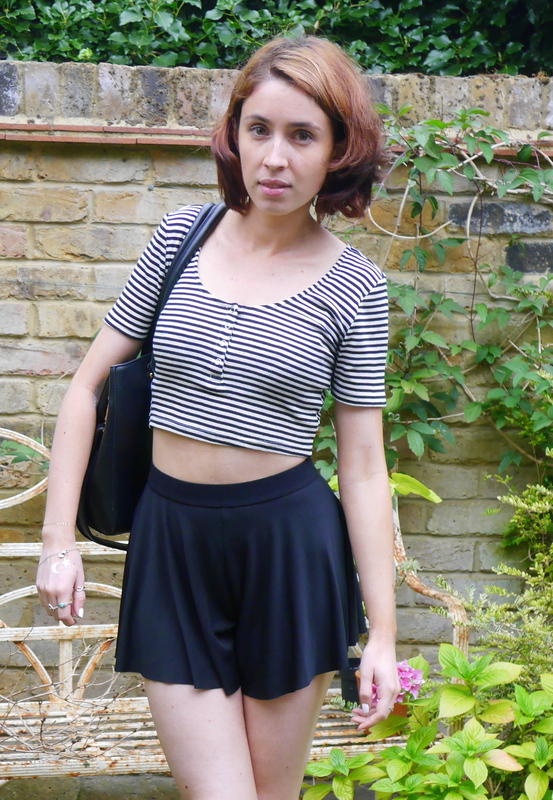 The shorts from New Look are a tiny little bit short however I find that wearing some cycling shorts underneath helps any unfortunate flashes. 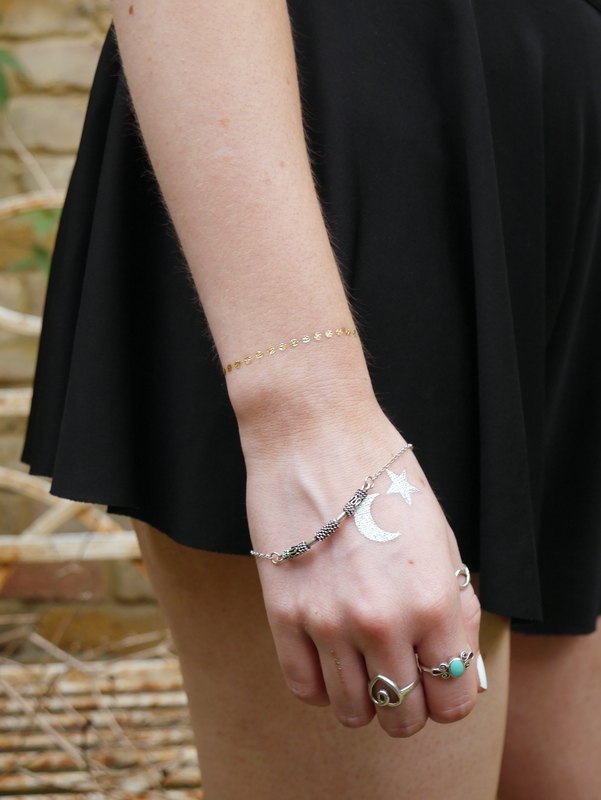 Yes I am still wearing metallic tattoos and these ones are by Lottie London. You get a ton of designs in both silver, gold and black and they are slightly more delicate than the Primark ones I have previously worn. Really easy to apply and last for a good week. 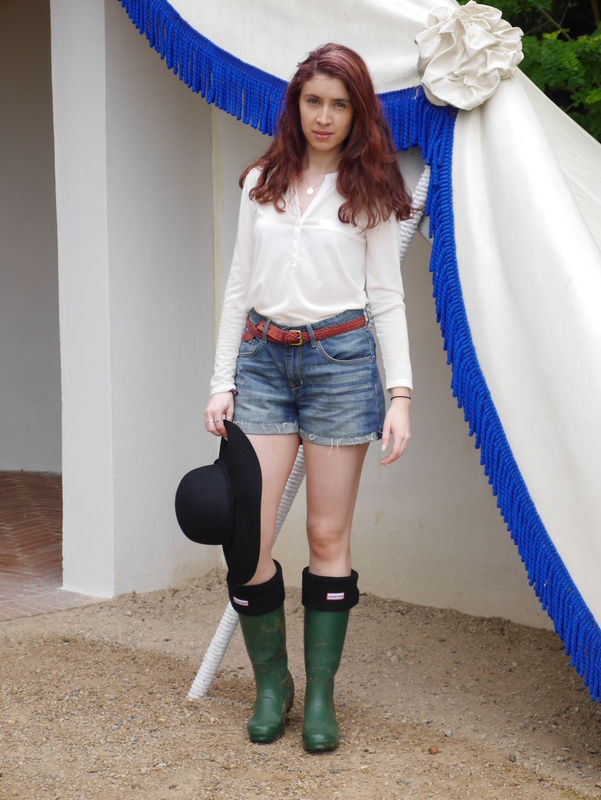 Top – H&M (similar)|Shorts – H&M(similar)|Belt – Thrifted (similar)|Wellies – Hunter|Hat – Primark (similar)|Sunglasses – Thrifted (similar). 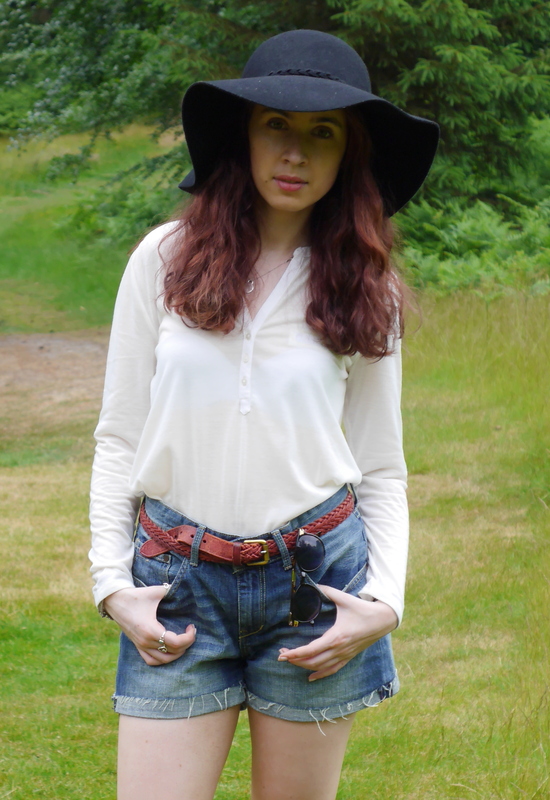 Channelling the festival spirit in this outfit for a family day out at Painshill Park which you can read about here. 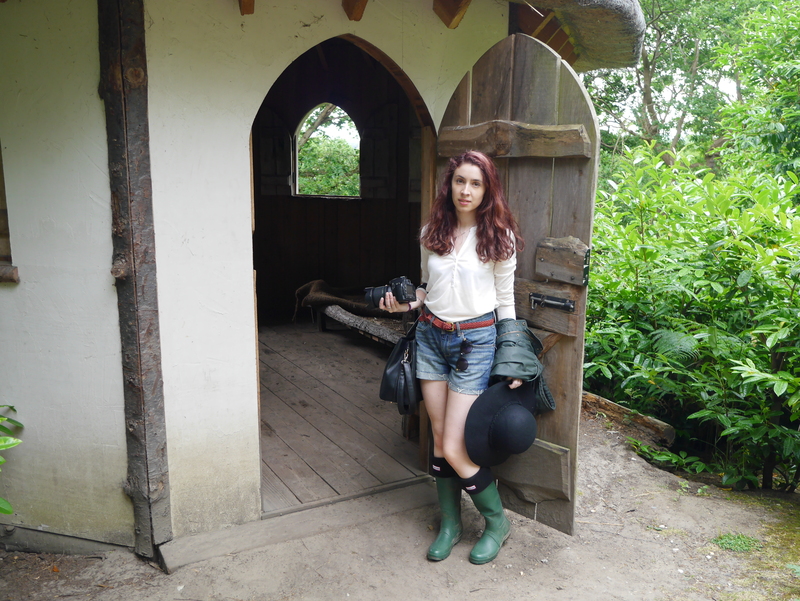 This outfit started out with some Converse on but I changed into wellies because it was a little muddy. 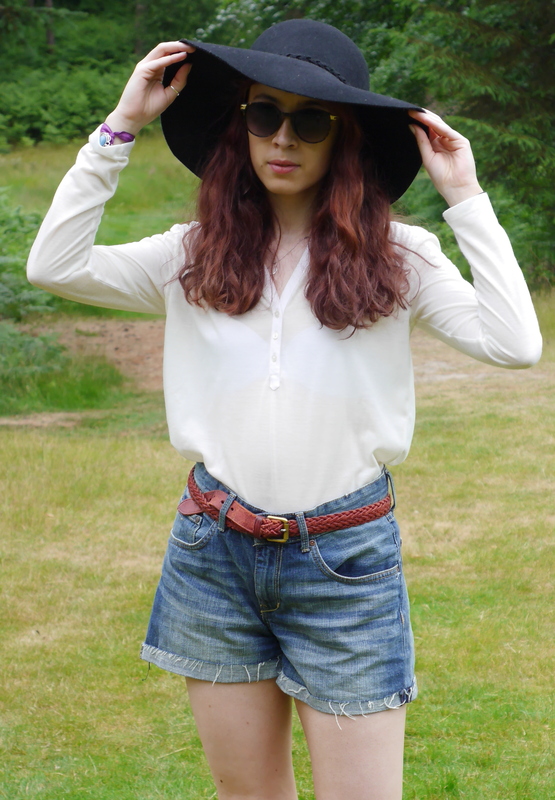 White shirt and blue jeans is one of my favourite combinations and these boyfriend shorts are the perfect denim for the summer – not to high up the leg and a little loose to allow maximum comfort. 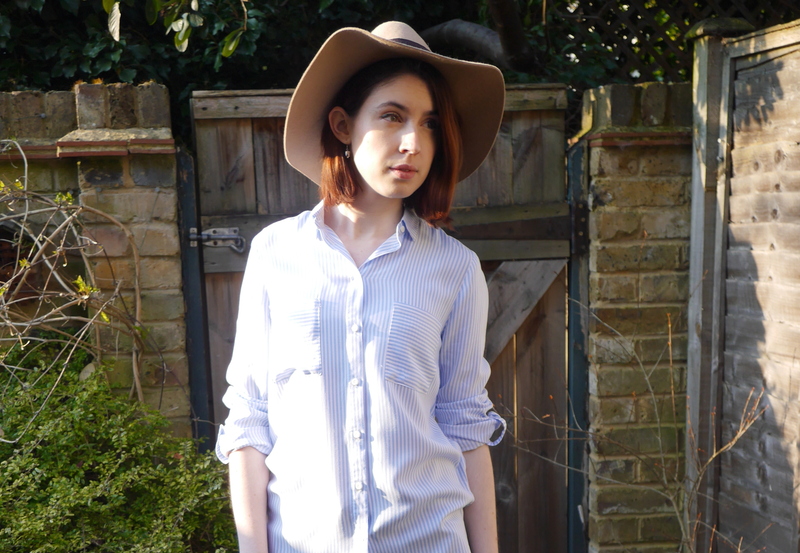 This was only the hats second outing, I love it but its very hard to wear in British weather – wind i’m looking at you! 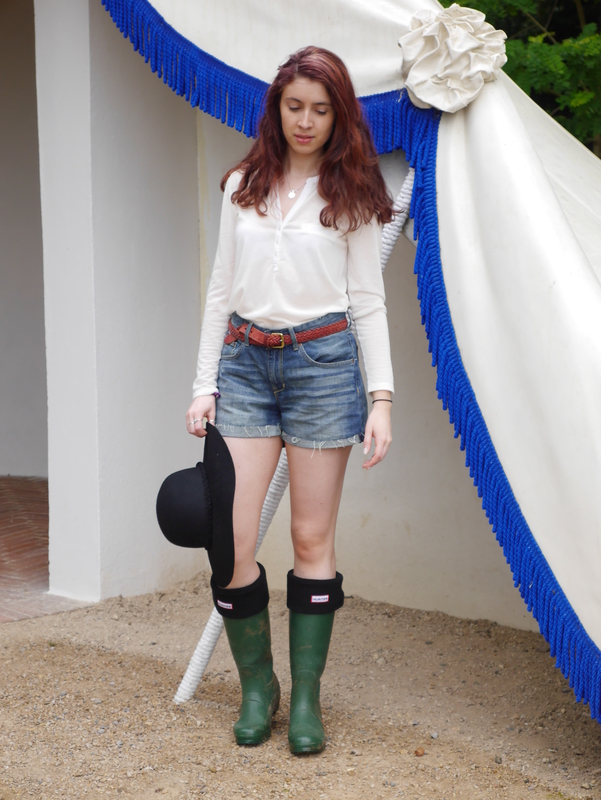 I’m not going to any festivals this year but I will definitely be channelling the festival spirit in my everyday outfits.